As we decorate for the fall season, and upcoming Halloween holiday, there is no doubt an excess of pumpkins lying around! While there are multiple ways to use pumpkins for decor purposes, there are also plenty of ways to use them in the kitchen! I've rounded up five great delicious pumpkin inspired, Italian recipes that will not only delight your tastebuds, but be the perfect comforting dish on these cooler fall days! This recipe was found in an article for Zester Daily on Huffington Post, and is written by Julia Della Croce. 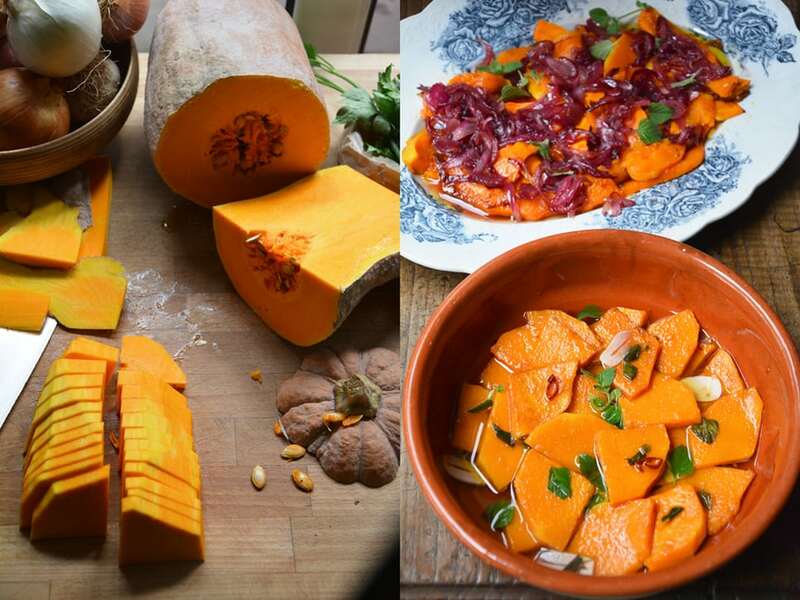 Della Croce is the author of "Veneto: Authenic Recipes from Venice and the Italian Northeast;" Therefore, it is fitting that she provides a delightful history of the "Zucca" (or pumpkin) and it's uses in Northern Italy throughout her article. It's a very interesting read before diving into the recipe! Rachel Roddy writes a wonderful article in The Guardian, where she describes two wonderful recipes from Central and Southern Italy. Before explaining the recipes, Roddy, who lives in Italy, provides great detail of the wonderful scenes in Testaccio, Italy during the fall season. She also provides a brief description of the types of pumpkin found in the Roman markets during this time of year! This scrumptious recipe was found on the website of Academia Barilla, a corporation which actively supports, promotes and develops Italian DOP-certified products. What's more, they strongly support youth initiatives in the culinary field, as they hope to promote and spread authentic Italian Gastronomic Culture for the future. Aside from a mouthwatering recipe, you will also find Chef's Tips and some Food History regarding pumpkin, on their website. 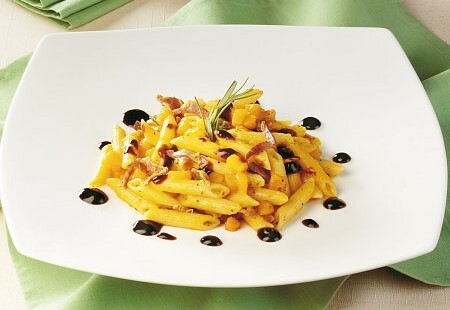 Another great recipe found on the Academia Barilla website; this one was just too good to pass up! Although it's "difficulty rating is at a level two (as opposed to the level 1 for the recipe noted above), don't let that intimidate you! Roll up those sleeves and try this special dish! 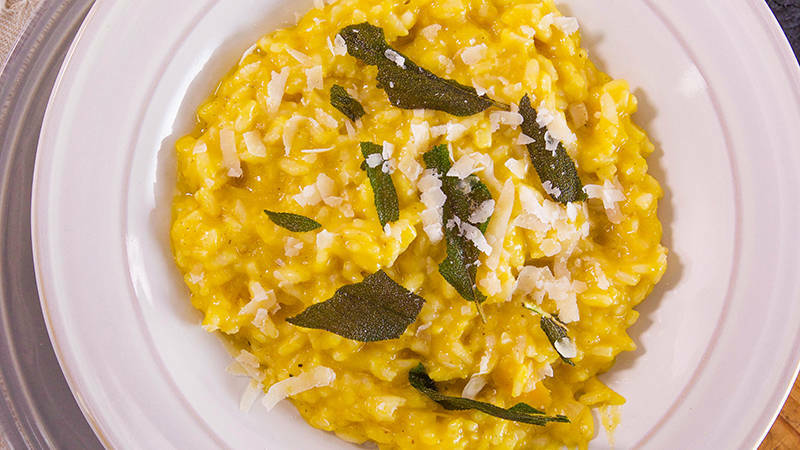 I just couldn't leave out one of my favourite dishes - risotto! Although there are a variety of versions to choose from, this recipe hails from the website of celebrity chef, Rachel Ray. 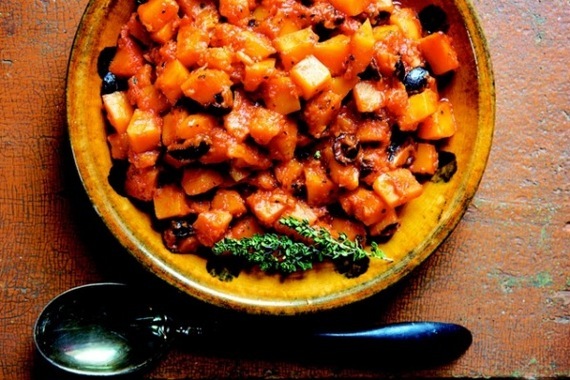 The seasonings of nutmeg and sage in this dish, add the perfect notes to the flavourful, hearty pumpkin. Yum!